Unite housing branch members will join a protest outside the Royal Courts on Justice on Tuesday November 21st in support of a Judicial Review of the Home Office’s policy of detaining and deporting homeless EU citizens. The number of EU citizens being removed from the UK has now increased fivefold since 2010, and new regulations have stepped up the pressure still further. 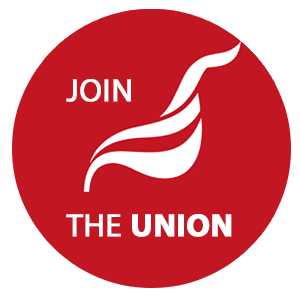 The Unite housing workers branch (LE1111) organises many workers in agencies working with rough sleepers and opposes the brutal new regulations which pose serious questions about the role of homelessness agencies. A Corporate Watch report in Mar 2017 revealed that, as part of Theresa May's 'hostile environment' policy, homeless charities were sharing data with the home office to aid immigration teams in deporting migrants as we reported here. The main target for this was not illegal immigrants but EU nationals who, because of new rules around benefits, were left homeless and destitute after losing their jobs. In May 2016 the Home Office introduced new guidance stating that rough sleeping was an ‘abuse’ (later qualified as ‘misuse’) of EU citizens’ right of freedom of movement. The guidance means rough sleepers can now be ‘administratively removed’ (effectively, deported) from the UK - simply for sleeping rough. This data sharing happened mostly through the CHAIN (Combined Homeless And Information Network) database, a portal used to record rough sleepers location and key details. Panicked by these revelations St. Mungo's rushed out a release suggesting that they didn't share information with the Home Office and they could ensure the security of information recorded on CHAIN. However there have been reports of immigration raids still happening based on reports from CHAIN, for instance from the civil liberties and human rights agency Liberty . Homelessness agencies have reviewed their internal procedures so joint patrols with immigration officers should no longer occur and they are belatedly reviewing further procedures to bring them in to line with data protection legislation but concerns remain. The problem is not restricted to London, in September Bristol council announced a partnership with the government ‘Controlling Migration Fund’ to spend over £150,000 “to build a stronger intelligence picture of migrant rough sleeping” in order to remove homeless non-UK citizens, including people from the European Economic Area (EEA). What is clear is that despite the claims of some, this situation isn’t going to go away and raises questions about the extent to which organisations meant to help some of the most vulnerable in society are actually passing on information that leads to their arrest and detention. It also complicates the relationship between one of the most vulnerable and hardest to reach groups in society from frontline workers if they cannot be sure who their information will be used. Disappointingly, Mayor of London Sadiq Khan seems to see no problem with this and announced as part of his 'No Nights Sleeping Rough' taskforce plans to sign a memorandum of understanding with the Home Office to allow formal data sharing as part of his campaign to end rough sleeping in London. We in LE1111 branch say that it is important to preserve the trust between clients and workers in the homeless sector and to prevent the Home Office from accessing data to deport clients without their consent. We support the judicial review in challenging the legality of deporting EU migrants. It is important to build a campaign among workers in the sector, based on the widespread concern, to stop organisations from sharing data with the home office and becoming complicit in supporting Theresa May's 'Hostile Environment'. The policy means that workers in insecure housing and employment who find themselves on the street fear forcible deportation. The services involved are funded through the discredited ‘payment by results’ system introduced by Boris Johnson which creates insecurity for delivery agencies and can create perverse incentives. This system of funding on the basis of measured 'outcomes' rather than funding the service failed on numerous occasions from employment services to the probation service. There have been scandals such as around A4E and it has bankrupted services such as Lifeline. Unite opposes payment by results as a wholly inappropriate funding mechanism and calls on the London mayor to fund homelessness services at adequate levels through sustainable mechanisms.